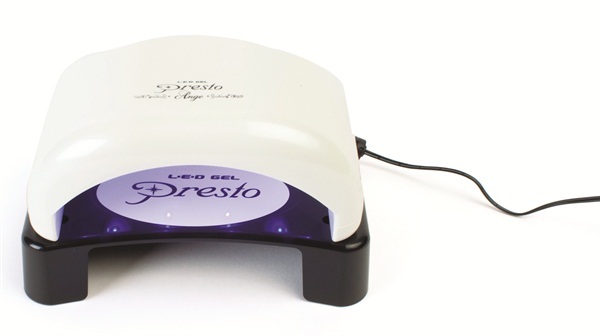 Nail Labo USA introduces its third generation of the Presto LED Light Ange. Compact and lightweight, it offers super quick curing achieved by LED light. The light also comes with an LED Light Stand to help place the client’s hand in the right position to better cure the thumb.